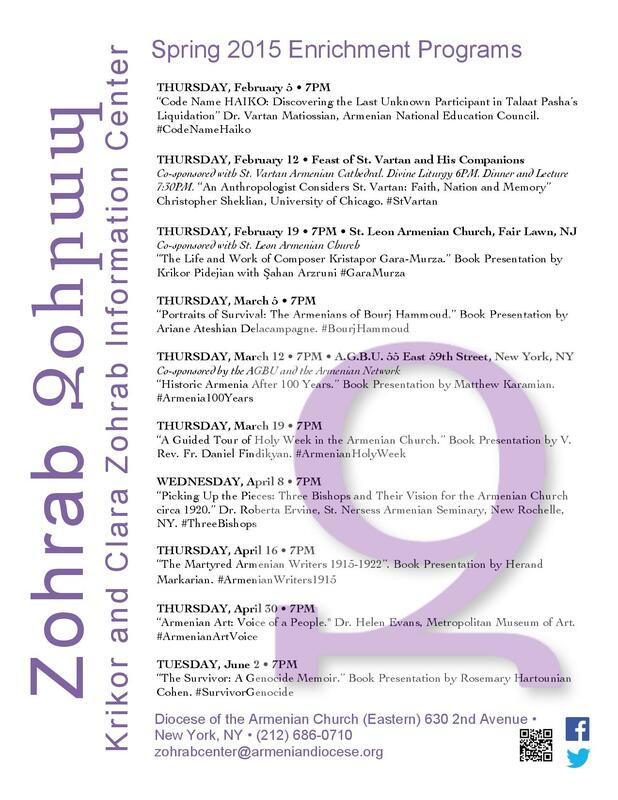 CLICK HERE to download the complete schedule of enrichment events at the Zohrab Center for the Winter/Spring of 2015. An exciting program of lectures, book presentations and cultural events is planned. Join us!